Raytheon Company’s Excalibur Ib precision guided projectile has entered full rate production (FRP). U.S. Army approval of FRP completes Excalibur Ib’s low rate initial production phase. Additionally, the U.S. Army has awarded Raytheon $52 million for continued Excalibur Ib production. Earlier this year, the Army approved Excalibur Ib for Full Materiel Release (FMR) and awarded the projectile a Type Classification-Standard. That means Excalibur is safe for soldiers; it has been fully tested; it meets operational performance requirements, and it can be supported logistically within its intended operational environment. “Excalibur has revolutionized cannon artillery, making it possible to engage targets precisely at long ranges while avoiding collateral damage, a capability that appeals to military leaders around the world,” Lohmeier added. In recent tests, all projectiles scored direct hits on their intended targets. The projectile’s reliability, lethality and range are in excess of Army requirements and at all-time highs, while the unit cost has dropped significantly during the program’s lifetime. Raytheon is also developing Excalibur S, which incorporates a laser spot tracker in Excalibur’s guidance section. 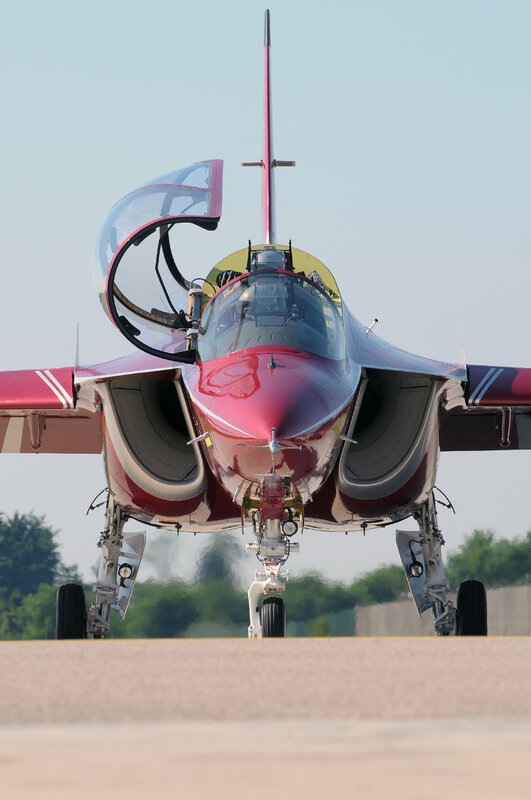 Excalibur S was tested successfully on May 7th at Yuma Proving Grounds. With Excalibur N5, a 5 inch/127mm variant of the projectile, Raytheon is bringing this proven technology to the maritime domain. A live fire demonstration of the Excalibur N5 is planned for later this year. Excalibur is a revolutionary precision guided projectile that provides warfighters a first round effects capability in any environment. Excalibur is cannon artillery’s only long range true precision weapon. Excalibur is a cooperative program between Raytheon and BAE Systems Bofors. The Government Accountability Office (GAO) released a report this week finding that 83,000 Department of Defense (DoD) civilian, military, and contractor employees holding or eligible for security clearances had more than $730 million in unpaid federal taxes. During the time period GAO studied (2006 to 2011), 3.2 million DoD employees held or were deemed eligible for secret, top secret, or sensitive compartmented information (SCI) clearances, or related interim clearances. These clearances permit access to classified information that, if mishandled, could cause serious harm to national security. While federal law does not prohibit an individual with unpaid federal taxes from being granted a security clearance, a delinquent tax debt poses a potential vulnerability that the government considers when making a security clearance determination. A person in bad financial shape is more likely to engage in illegal acts in order to keep creditors at bay. For this reason, we should also be worried about how much these 83,000 individuals owe in state and local taxes, too. The median federal tax debt was about $2,700; debts ranged from $100 to millions of dollars. 76 percent (63,000) of the debtors accrued the tax debt after they were deemed eligible for a security clearance. 25 percent (20,400) were eligible for a top-secret or SCI clearance and owed more than $249 million. 31 percent (26,000) had access to classified information and owed $229 million. Of the 6,200 who had top-secret or SCI access, 47 percent were contractors or other nonfederal employees who owed $52 million. 41 percent (34,000) of the debtors were in a repayment plan with the Internal Revenue Service to pay back $262 million in tax debt. Privacy protections in section 6103 of the Internal Revenue Code hinder federal agencies’ ability to detect employees’ federal tax debts. Agencies need the individual’s consent to obtain tax debt information from the IRS. The GAO discussed this problem last year in its analysis of non-DoD civilian and contractor employees approved for security clearances who owed federal taxes. The GAO found that 8,400 of these employees owed $85 million in taxes. According to the GAO, a working group formed by the Office of the Director of National Intelligence, the Office of Personnel Management, and the IRS is coming up with a way for the government to routinely obtain tax debt information when investigating security clearance applicants and monitoring current clearance holders. The working group plans to have an automated federal tax-compliance check system up and running by 2017. Over the years, the Project On Government oversight has blogged and provided testimony about the need to crack down on the tax delinquency problem as applied to federal contractors. Our concerns were that contractors who owe taxes deprive the government of billions of dollars in revenue, are at increased risk of poor performance and default, and have an unfair competitive advantage over contractors who pay their taxes. Now, we have one more reason to treat this problem as a top priority—federal and contractor employees who owe taxes pose a threat to national security. The US Congress approved $225 million for Israel’s Iron Dome anti-missile defense system, credited with destroying missiles fired by Hamas before they could reach their targets. House of Representatives approved the funding by 395-8 in a late Friday vote. The Senate earlier approved the measure unanimously before the start of its five week summer recess. The measure now awaits President Barack Obama’s signature. The emergency spending funds, which adds to the US deficit, will restock Israel’s Iron Dome system with interceptor missiles. The funding is part of the administration’s request of $3.1 billion for military assistance to Israel, the world’s largest beneficiary of US foreign aid. Congress appropriated $235 million to Iron Dome last year. The White House had originally requested about $176 million for the system for 2015, but lawmakers increased the amount. Congress often increases funding for Israeli security projects sought by the president. The army is a step closer to receiving a new multi-million-pound air defence missile system thanks to an investment by MOD. Missile company MBDA UK has been awarded a £36 million contract to explore what capabilities a land version of an air defence system could offer the UK armed forces. The Future Local Area Air Defence System (FLAADS) is a ground-based missile system whose missiles can travel at 1,000 metres per second and is able to simultaneously defend UK territories against a number of threats, including jets or cruise missiles traveling at supersonic speeds. MBDA UK is already developing a similar system, known as Sea Ceptor, that will be used by the Royal Navy. This assessment phase contract for the land version will sustain more than 90 highly-skilled jobs at MBDA’s sites in Stevenage and Bristol. “The future local area air defence system would give the army a new, British-built, world-leading defence capability to protect UK interests against current and future threats from the air. These missiles are designed to form a suite of battle-winning capabilities we are investing in. “This potential land system is the next stage development of a maritime system which highlights that the UK is a world leader in evolution of missile design and manufacturing. “The FLAADS land assessment phase is an important milestone that demonstrates how the MOD-MBDA portfolio management agreement works. It’s the opportunity to provide an affordable yet highly capable air defence system for both the army and Royal Navy. “By extending the FLAADS program to land applications, the UK MOD is showing confidence in MBDA’s ability to maximize cost benefits for its customers through modularity and reuse of existing technologies. The army’s current air defence system, Rapier, which was used to defend London during the 2012 Olympic Games, has been in service since 1996 and is coming to the end of its service life. Over the next year, MBDA UK will use state-of-the-art computer technology to assess exactly how the missile system would work and could be used by the army. Following the assessment phase, a decision on whether to buy FLAADS as a replacement for Rapier is expected to be made next year. The world’s largest defense contractor Lockheed Martin assesses the potential effect of sequestration measures taken by the US Government could reduce its 2013 net sales by approximately $825 million. Lockheed Martin was the first major defense company to comment on the scale of sequestration impact on its performance since the drastic measures took effect last month. The company reported today its net sales decreased 2 percent in the first quarter of 2013, to $11.1 billion; the business activity generated $2.1 billion. The company invested $0.5 billion for repurchasing 5.1 million shares, thus increasing net earnings 14 percent over the first quarter of 2012. With $761 million in net earning reflecting an $2.33 “Earnings per diluted share”, reflecting an increase of 15 percent over Q1/2012. In January, the Corporation provided an outlook for 2013 premised on the assumptions that the U.S. Government would continue to support and fund programs through March 2013, that FY 2013 budget will be approved by the Congress at a level consitent with the President’s proposed defense budget and that sequestration would not go into effect. Although sequestration is currently in effect, the company said that customers have not yet informed it of specific decisions taken in response of this act, except in some very limited circumstances. However, the situation is expected to change in the coming months. 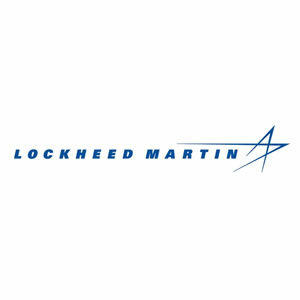 Expecting sequestration measures bearing impact on Department of Defense and other federal procurements, Lockheed Martin expects its 2013 revenues to be within the low margin of the amount projected in January 2013. “Sequestration reductions will be achieved through delaying and deferring new program starts, versus modifying or restructuring existing programs that have contractually obligated schedule and delivery requirements” the company commented. Nevertheless, other market-wide implications of Sequestration could cause ‘collateral effects’, such as significant rescheduling or termination activity with the Corporation’s supplier base, contractual actions including partial or complete terminations, severance payments made to the Corporation’s employees, facilities closure expenses, and impairment of assets or goodwill, all these have the potential to align the Corporation’s cost structure to a lower sales base. Aeronautics sales were down over US$ 0.5 billion from $3,706 in Q1/2012, primarily due to lower sales in F-16, C-130J and C-5 programs. Missiles and Fire Control sales increased $222 million over the same quarter last year, attributed to JASSM program. Mission Systems and Training unchanged but improved their operating profit by 28 percent. BAE Systems has been awarded a $43 million cooperative agreement extension to lead the Army Research Laboratory’s (ARL) Micro Autonomous Systems and Technology (MAST) Collaborative Technology Alliance for an additional five years. 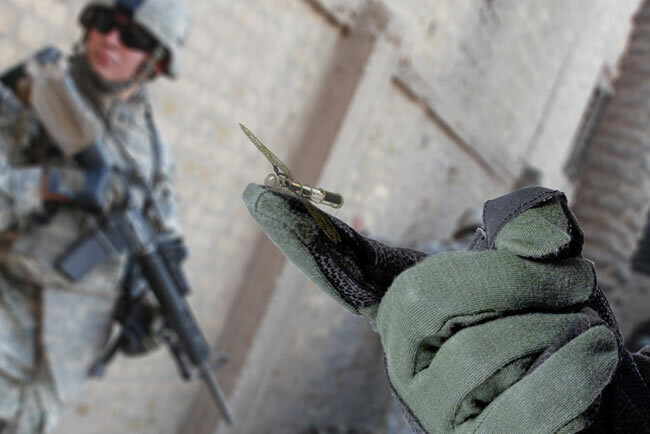 As a result, the company will have a significant role working with the MAST Alliance’s team of scientists from the U.S. Army, academia, and industry as it advances bio-inspired micro-robotics technology to extend the remote sensing capability of U.S. ground forces. 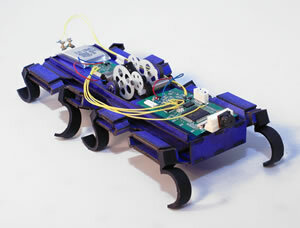 The goal of the research is to enable small robotic platforms – that would be used by individual soldiers – to remotely perform surveillance within complex urban environments and terrain. 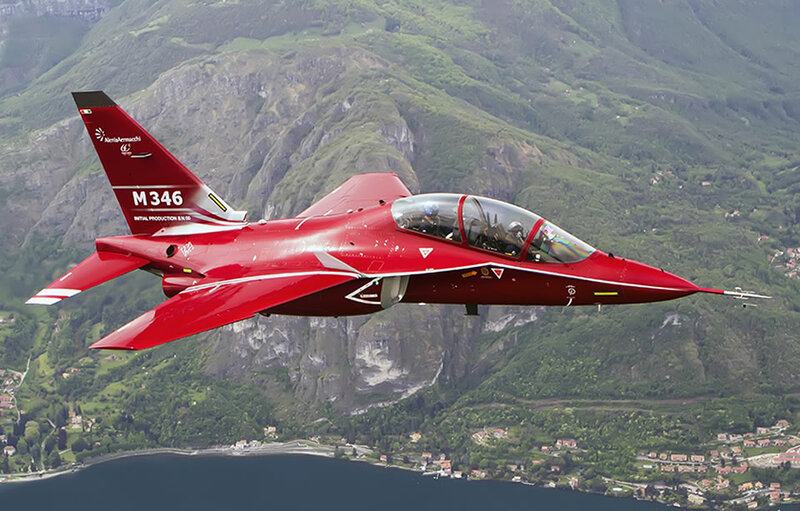 How much the Israeli M346 really cost? Defense-Update walks you through the financial maze of the tripartite trainer deal. More information on the program projected life cycle cost is included in the Full Version of this article, available via our Premium Subscription. With the cost of engines and support program figured in, the IMOD expects to spend about $2.2 billion for its new trainers over the next 20 years – more than tripling each aircraft ‘out of factory’ cost, from nearly $20 to $65 million, reflecting the total ‘cost of ownership’ of these aircraft. This cost is rated at about the third of the cost of a modern F-35 stealth fighter. The IMOD direct payments for the 30 aircraft will be spread over a period of 10 years – more then two four year planning programs, therefore limiting the impact on the domestic defense budget to around $60 million on an annual basis. The engines are likely to be covered by the US military aid to Israel, leaving the Israelis to bear roughly $25 million annually ’out of their pocket’ for operations and support. This cost corresponds to the average amount required to maintain the current TA-4N Skyhawk trainers that will be phased out. Over the 20 years ‘life cycle’, Israel expects to pay about $60 million to own each of these Italian Masters.